As a long standing fan of the original You Don’t Know Jack games, I’m always excited to see more content with the same flair that those original titles had way back when. 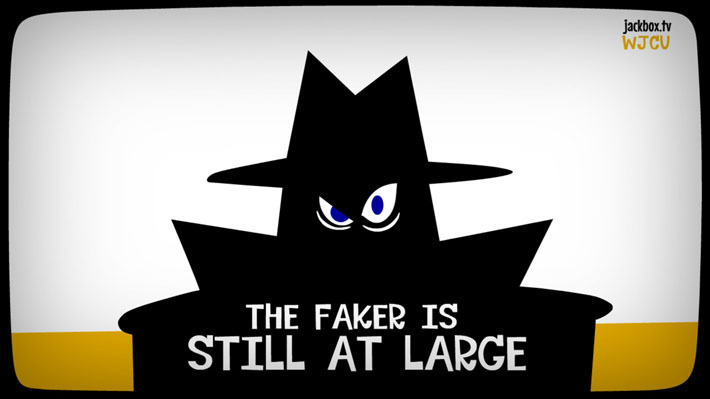 But does The Jackbox Party Pack 3 stand up to those that came before it? The short answer is yes, despite the fact that some underlying flaws hold it back from making a bigger wave. Before I get into the newest entry, it’s best to take a trip back to the You Don't Know Jack era of the franchise. Those titles - and there were many – can be summed down to simple trivia games with a flair for the dramatic. What made them interesting was the way the questions were presented. In any other trivia game, you see, a simple trivia question can be answered easily enough if you study it. In You Don’t Know Jack, the questions have a snarky quality that confuses the player and forces them to think outside the box. Imagine a sarcastic Jeopardy. That quirk to the trivia formula is what kept fans revisiting the series time after time. Eventually, the studio decided to break out of that mold and try something innovative: they released the first installment of Jackbox Party Pack. It included a version of You Don’t Know Jack, as well as a few other clever twists on board and card games. There were variants of games like Pictionary and Cards Against Humanity, as well as others; all of which were to help mix up the potential monotony that a trivia game can induce. Jackbox Games decided to keep the trend going and made a second and third installment for the series, and I must commend them for their tenacity to reinvigorate the market for board games. There had been attempts from competitors before, but the use of peripherals (see: Scene It for the XBOX 360) caused a hike in the retail pricing, steering some of the potential customers away. If the game didn’t use unwieldy third-party controllers, it used the cumbersome default ones which worked. Until you realized that not everyone has +4 controllers just laying around for friends. Jackbox Games used their brains when they gave players the ability to use a controller they have with them at all times: their smartphones. In theory, and in local gameplay, the use of the smartphones is ingenious and, most importantly, simple to use. 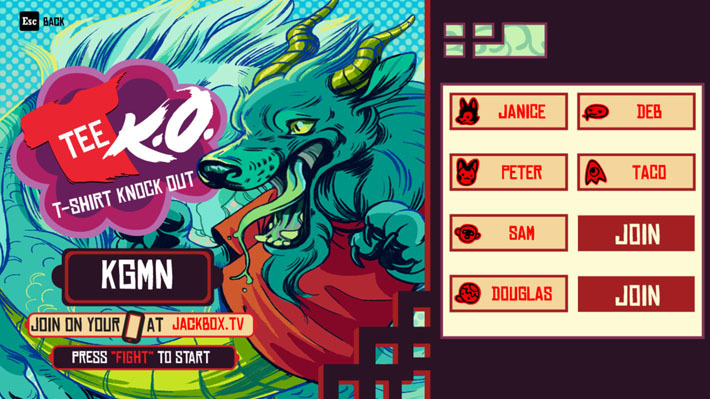 All you need to do is head onto your phone’s web browser, go to jackbox.tv, type in the short code assigned to the match, a screen name, hit “Play” and you’re in. This not only helps with allowing everyone to play at once, it also gives players access to a keyboard allowing them to type their answers out efficiently. Their answers and selections can be hidden from the rest of the group as to allow a smarter game as a whole. The use of smartphones adds another (potentially) amazing aspect: audiences. 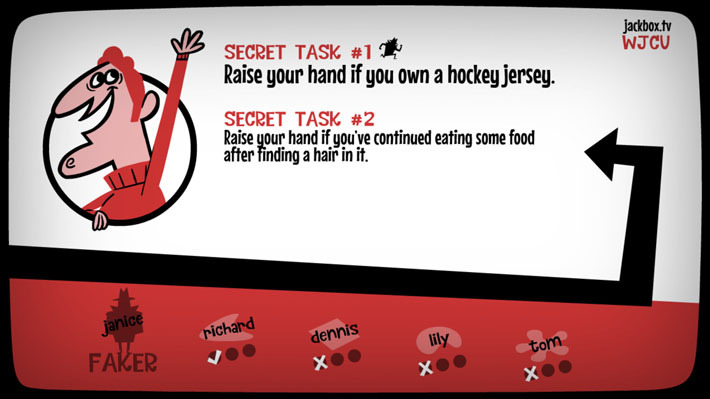 Audiences in Jackbox Party Pack are exactly as you would expect from an audience of a real game show, only with a bit more influence and interaction. Imagine a televised game show like Who Wants To Be A Millionaire, where the audience can influence what questions are asked. With the rise of Twitch.tv and game streaming, this is an ingenious decision that allows anyone to play the game, regardless of them purchasing it for themselves or not. All you need is that code and a phone. Consequently, it elevates the modest 5-person game to a game with 5 contestants and thousands of viewers voting along. In theory, it’s groundbreaking but before I tell you why it’s not, let me explain what you’ll be playing in Jackbox Party Pack 3. First off, and in no particular order, we have Tee K.O. In Tee K.O., the players and audience must pick the best shirt in a tournament of silly designs. The group draws and comes up with the slogan to make what they think is the funniest. The game then mixes them up and, occasionally, creates some rather funny combinations. As a feature, it certainly felt the longest of all because there is much more to it; which isn’t necessarily a good thing. A bit too much hanging out and waiting for things to do, which for me, sucked out a lot of the enjoyment. Next up is Quiplash 2 which is the only “sequel” in the pack. Aside from some new bits, it’s largely the same game. Quiplash is much like Cards Against Humanity which revolves around answering questions in the silliest way possible and the need to vote one as the funniest. The game will give you a question and the players must submit their responses. The audience is then supplied with the two responses and the funniest one will win the round. It’s a very simple premise that is very easy to get into, which is a bonus for new players. This time around in Quiplash, they added the ability to create your own custom questions to make it a little more personal. Inside jokes, away! Guesspionage is very much a Family Feud-style game where players must select which poll answer has the most amount of votes. It’s a simple concept that can get tricky, but the smart questions make it stand out as engaging without making you feel like an idiot if you get something wrong. Aside from Quiplash, Guesspionage is the most accessible game of the group, due to its simplicity. My favorite game is Trivia Murder Party. It’s, without a doubt, the closest thing to You Don’t Know Jack while also being wholly different. The premise with this one is that you’re in the clutches of a serial killer who likes to ask his captives a series of questions. If they get questions wrong, he kills them. If they answer everything correctly, they can be freed. The Saw-like premise is engaging and funny in that dry way that Jack games excel at. Answering incorrectly isn’t an immediate disqualification, however, as the contestants can play a nearly-rigged mini-game to help them avoid being murdered. Lastly, Fakin’ It is the most interactive game for the players. Fakin’ It has players lie about certain things and the players and audience must figure out who the liar is. Similar to board games like Quelf, Fakin’ It requires the players to perform certain actions to help demonstrate their honesty, or lack thereof. For instance, one has the players point to who they think is lying, hold up fingers to show how many times they’ve done something, etc. For the people sitting in the same room, this gives them a chance to figure out any tells on their faces. Same goes for the audience in that it is able to demonstrate what is actually going on in the room. Which leads me to my least favorite aspect of the game. Now that you have a better understanding of what Jackbox Party Pack 3 has to offer, let me tell you why half of it doesn’t work. If me and a few friends gathered in a room and started to play, we’d have an easier time getting set up. The interactions we’d have would be much more in tune with what’s going on in the space of the television screen/monitor. If we wanted to stream our game, we could have players from the internet join us to submit their opinions on which selection they find funniest. They would add a bit of color to what we had going in the room - even if they have to deal with a bit of lag. Local gameplay in itself is not the issue, however. It’s relying on it being a competitive outlet from a stream can be a headache. I have friends in a different state and we tried setting up a game to play. Setting up the stream was easy enough but there was too much of a lag that I was getting about 10 seconds of delay, which resulted in seeing questions far later than I should have. For a game that gives you only a short amount of time to submit a phrase or answer quickly, it can be frustrating. It felt more like I was standing inside their walls peering through to them while trying to communicate my answer to them by pushing books off the shelf a la Interstellar. Maybe my experience is different than others, but I had this problem when playing the previous two as well, and it’s an irritating hurdle to an otherwise fun game. That being said, I’m sure there’s a ton of people that aren’t as annoyed by the lag and enjoy the game regardless of the delays. I fully commend their attempt at making this a game that hundreds of people can play and, based off the exploding popularity of Twitch over the last few years, they’re absolutely on the right track. But there needs to be some changes to their system. For players in the room, they don’t need to have a screen on their device since their phones act as just a third-party controller. But for those who want - or need - to play remotely there needs to be a better solution. I don’t know what that would be but I do hope they find something to encourage connectivity on a much larger, worldwide scale.